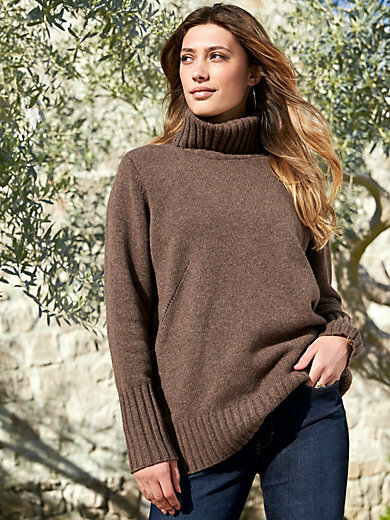 Roll-neck jumper by PETER HAHN: soft, warm and cuddly made of Softwool. With generous roll-neck and deep ribbed cuffs and hem. The elegant, diagonally placed pointelle pattern on the front is not only decorative but has a figure-flattering effect at the same time. 100% new milled wool. Length approx. 27ins. The roll-neck jumper is machine washable.